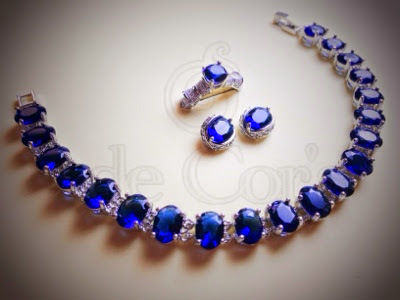 Welcome the new member of Royal Blue Sapphire Collection, the bracelet. In the previous post, I have posted about what had been chosen by one of my regular customer, we didn't have that bracelet published then just yet, it was still in production. 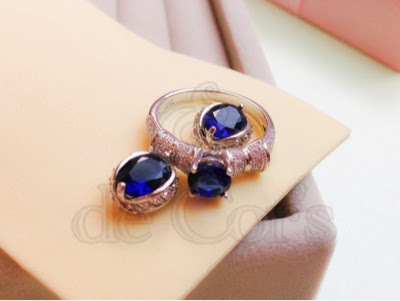 They are made with the same stones with different settings, the studs earrings and the bracelet are made set into genuine platinum plated recycled copper, and the ring is made in 92.5 sterling silver, price are below USD$40, USD$60 and USD$100 respectively, free shipping worldwide.